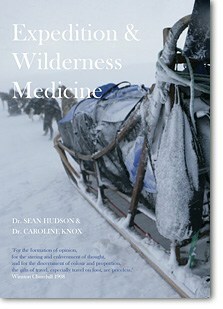 On Sunday 15th April, the Royal Society of Medicine (RSM) opened its prestigious doors to Expedition & Wilderness Medicine’s inaugural World Extreme Medicine Conference 2012. With nearly 200 qualified doctors, nurses and paramedics attending over four days the wealth of knowledge and experience was exceptional. For the medical students (making up a 1/5th of all delegates) attending the conference it was an ideal opportunity to learn from world class speakers, network with delegates ranging from Foundation Year 1 doctors looking for their first expedition opportunity to seasoned Consultants with 25 years of expedition experience, and of course, to take part in the student poster presentation. Of course for any conference to run smoothly you need good student helpers! After having over 50 offers from medical students willing to volunteer their time to help at the World Extreme Medicine conference, we decided that a random ballot would be the fairest way to find the 5 helpers we needed. So, joining the Expedition & Wilderness Medicine team for the 4 days were Samira Green (Barts and the London, RSM student president-elect who had been pre-selected to lead the student conference team), Charlotte Loumann-Krogh (Denmark University), Charl Jackson (UCL), Tom Geliot (Leicester University), and Dave Bentley (Brighten and Middlesex University). The student team were instrumental in the day to day smooth running of the conference and we really enjoyed having them join us for the 4 days! I think the cocktail evening with the speakers was the highlight for them! 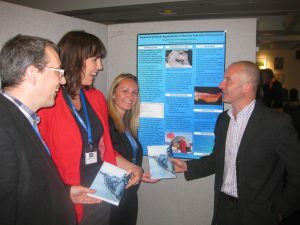 The student poster presentation section of the International World Extreme Medicine Conference was designed as a way for students to get involved with the conference (especially if attendance was cost prohibitive). Having had the poster session set up behind the stunning glass Atrium of the RSM we welcomed a total of 21 students (or student teams) from Universities around the country – and abroad. They all presented outstanding poster presentations. Poster topics ranged from acute mountain sickness on Mount Kilimanjaro, to traumatic leg injury following a plane crash. There could only be one winning poster-entry however. 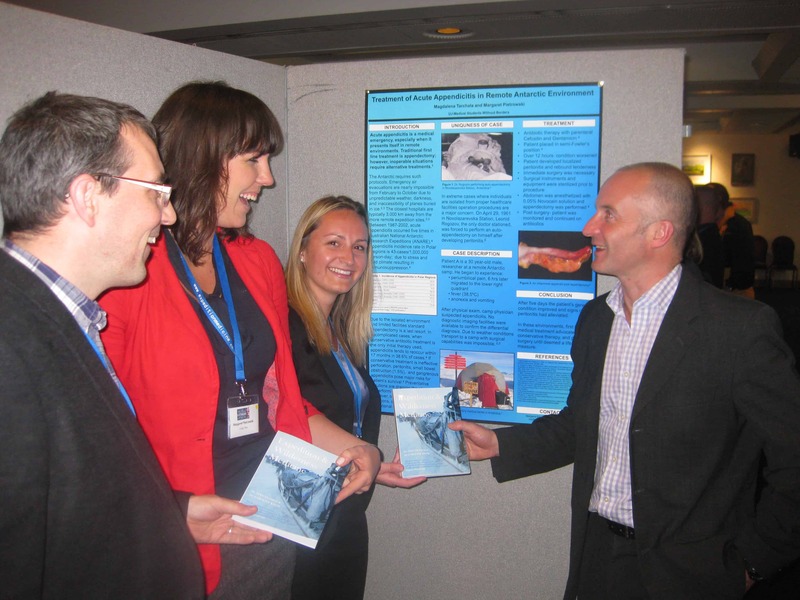 Dr Amy Hughes, Dr Sean Hudson and Dr Roger Alcock (with a wealth of pre-hospital, emergency and expedition medicine between them) spoke with the poster presenters individually before announcing their decision at the start of the afternoon lecture session on Sunday 15th. It was clear that the decision was not easy – as they took a very long time deliberating! Magdalena and Margaret, both students at the International Jagiellonian University Medical College, Poland (and both co-founders of Medical Students Without Borders) were awarded £150 gift voucher to Montane® to share, and an Expedition and Wilderness Medicine Handbook, t-shirt and winners certificate each. All participants of the student poster presentation also received an Expedition and Wilderness Medicine Handbook and certificate of participation at the conference. The feedback from the delegates attending the conference was one of being very impressed with the standard of student poster presentations, professionalism and enthusiasm. Even during the coffee and lunch breaks the students were kept busy with probing questions from delegates! This is no bad thing – after all, like all delegates attending the conference, we hoped that the students, either just participating in the poster presentation or attending the lecture series, had the opportunity to be inspired and to network. You never know when ‘that expedition opportunity’ may just land in your lap. There are clear ways to make the student involvement at the next International World Extreme Medicine Conference bigger and better and I am already working on these – so watch this space! Furthermore, what was encouraging to hear from the students attending was that there are opportunities to get university funding to attend conferences like this – and indeed many students were there by those means. It is by no means a perfect system and not universal to all universities but do explore these options. Finally, I would like to end by saying a huge resounding thank you to all the medical students that came to the World Extreme Medicine Conference – from those just dipping their toe into the expedition medicine world for the first time, to the huge and impressive party of 10 international students from Poland, to the seasoned students with more experience than the doctors! I thoroughly enjoyed meeting you all, hearing your thoughts and suggestions, and for me – knowing there are people out there with similar dreams and aspirations to my own. I very much look forward to meeting you all again whether that be at the next conference, course hospital, or in the field…. Well what a four days we had!!! Thank you so much for attending our first conference/expo if it was for any or all of the days. We had some of the best speakers in the world on their chosen subject and we hope you got as much out of the lectures as we hoped you would.Thank you for filling in the feedback forms. We will announce the winner of the £100 voucher off any course when we have had a chance to go through them all. You will be receiving your certificate of attendance via email in the next few days or so if you havent already received them. If you would like CME points please email Catherine within the next 30 days with your name, email address and qualifications (BmBs, BMedSci, DTM&H, MCEM, EMDM) and she will take care of the rest. The certificate will come directly from the WMS and may take four weeks to process. You need to be a doctor to collect these points. As you heard at the conference we will be uploading videos of each of the lectures and will email you a link to our members only area as soon as these are available for streaming. Again, this will take a little time to do as we have over 40 hours of video to process. As we said at the time if you’d like to join us on any of our 2012 courses we’ll honour the expo discount of 15%. This offer is only open until the 13th of May so if you’d like to take us up on the offer please let us know ASAP. If you need anything at all or have any further comments, please let us know!! Sent to << Test Email Address >> — why did I get this? We are thrilled to announce that the Expedition & Wilderness Medicine Experience Intern for the UK course at Plas Y Brenin in Wales on May 21st to May 24th is Andrew Blanshard. Andrew is a 3rd year at Lancaster University studying Medicine and impressed us with his excellent application! Andrew will spend 4 days working alongside the Expedition & Wilderness Medicine Team helping set up practical exercises and logistics, and when not helping out will be able to watch the excellent lectures that will be held over the 4 day course. Below is short description by 3rd year Hull University medical student, Charlie Rowland, of his experience as an intern for EWM! Charlie won his intern place on the March 2012 Expedition & Wilderness Medicine UK Course with a great application that showed he is one to watch as he moves into the Expedition Medicine scene. 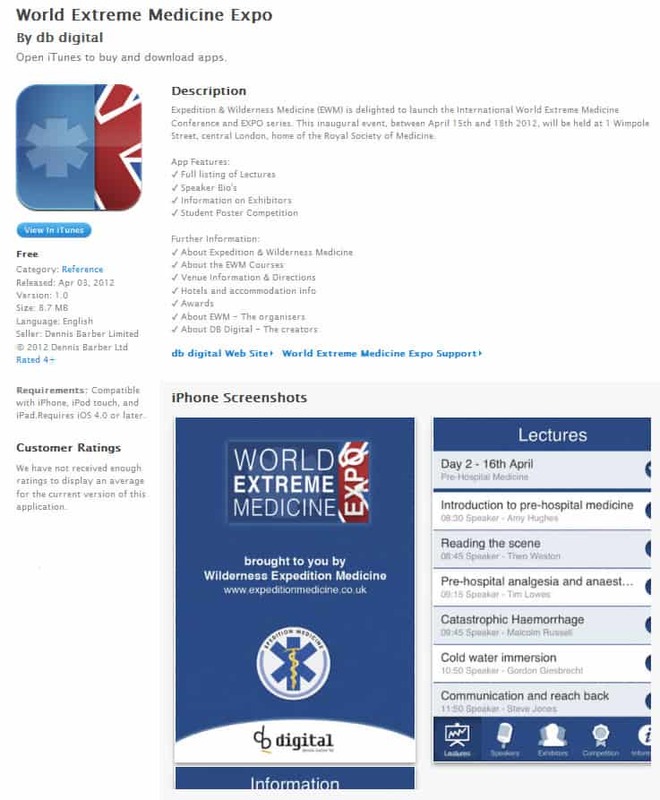 The winner of the May 2012 course will be announced on Sunday 8th April. With all of the pressures that medical students and junior doctors are under to find foundation jobs and positions on core training posts, we could be forgiven for forgetting that the NHS only really represents part of the spectrum of opportunities that are available to us as qualified medics. For my own part (and despite the fact that becoming a doctor has been my ambition for as long as I can remember), I have often harboured a sneaking suspicion that the usual route through the NHS would not provide me with the challenges that I am after in my career. With that in mind, If there is one that I thing that I took away from the Expedition and Wilderness Medicine course that I recently had the privilege of attending as a student intern, it is that there is a hell of a lot of adventure out there for medics who go looking for it. The course saw fifty doctors and nurses from as far afield as Australia, converge on a quiet corner of the Lake District for four days of intensive instruction and advising on the jobs available, the challenges faced and the skills required of medics working as part of an expedition team. As the ‘student intern’ on the course, it was my responsibility to time-keep the sessions so that the packed timetable ran to schedule and to help organise the equipment for the next day’s activities: A small price to pay, given that after this, I was free to participate in all of the course activities. The course is aimed at providing medics (with an interest in the more unconventional lines of work) with a broad introduction to the field of Expedition Medicine. The programme is a mixture of lectures and practical sessions: Over the first three days we were taught about the more commonplace expedition maladies and how to manage them and introduced to some of the useful bits of kit used to treat specific conditions (I was particularly impressed by the portable recompression chamber – essentially a big, airtight, rubber sleeping bag – which can be pumped up to pressure for the treatment of acute altitude sickness). We were also introduced to important logistical and practical matters such as public health, procuring medical kits and planning evacuations. The practical sessions then covered the basic skills required of expedition members such as emergency rope-work, improvised stretcher techniques, radio and communications protocols and water purification (to name but a few). The week climaxed in a search and rescue exercise in which the lessons of the previous days were put into action. In teams, we had to navigate our way to our casualties, deal with multiple injuries and illnesses, organise a helicopter extraction over the radio and finally package up and evacuate our patients. The day tested everyone’s abilities and resolve to the limits and despite the wealth of medical expertise within the group, It was great to see so many highly skilled doctors having to work hard to read maps and communicate over the radios. The practical and medical aspects of the course were, undeniably, brilliant fun and a great learning experience. However (at the risk of sounding a little cheesy) of more value to me was the opportunity to take in the experiences of doctors who have not followed the typical, well-worn path through medicine – at least not without having plenty of fun along the way. The week was filled with stories of challenges, adventures, successes, close shaves and catastrophes which, without fail, had me on the edge of my seat with my jaw hanging open. As a medical student who is increasingly possessed by a desire to see more of the world before settling into any kind of steady job, I found the entire experience downright inspirational. The EWM course was a real vindication of my aspirations and the steps that I have begun to make to take myself towards them. Taking in the experiences of the EWM faculty has given me a renewed enthusiasm for what I am doing and what I am working towards and, in short, I feel I have a much clearer idea of the sorts off the directions that I want my life to take me in. 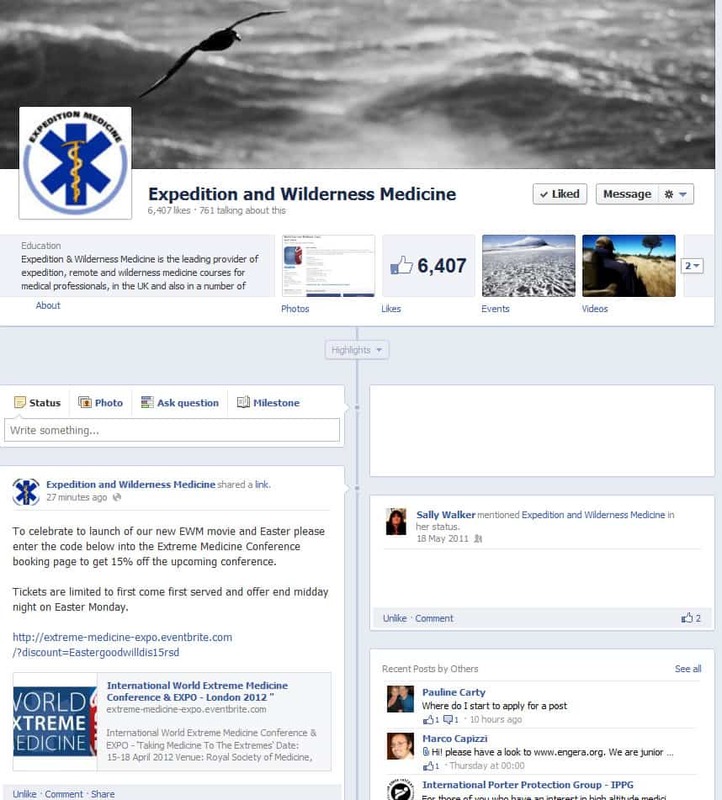 Join us on the next Expedition Medicine course….